I'm fortunate to live just a little over an hour away from the Kripalu Center for Yoga & Health in Stockbridge, Massachusetts, in the heart of the Berkshires. Kripalu, one of the best wellness escapes in New England, offers hundreds of enticing programs and retreats each year. With much more of a hotel/upscale college residence hall feel than, say, the outdoor summer camp feel of Omega in Rhinebeck, New York, Kripalu both intimidated and enticed me. Was I fit enough to be among serious yoginis? Would I be called out as a spiritual imposter? I'm happy to say my four-day stay was transformative, and no one tried to kick me out of the place nor convert me to a life of sanctimonious navel gazing. But if a friend told me she was embarking on her maiden voyage to Kripalu, here's the inside scoop (aka "inner wisdom") I would share with her for the sake of preparation. #1. 4:30 comes twice a day. I'm still profoundly impressed with myself for waking up at 4:30 a.m. each day to get to a 5 a.m. meditation. But when you pay hundreds of dollars for a multi-day program, you seek transformation in a big way. If the guru says, "Meet me here tomorrow morning at 5 a.m. for meditation," you find a way. Just pray you and your roommate(s) have the same schedule. In a room smaller than your freshman dorm, it's good to have the same bedtime. Chances are, you'll both be happy to turn lights off at 9 p.m.
#2. Your body will be challenged. Simple daily events become Olympic accomplishments if you are not accustomed to daily rigorous exercise. You can't imagine how challenging lowering yourself onto the toilet can be after a few days of intensive yoga. "Y" stands for "yoga" and it also stands for "yelp!" I scaled a few bathroom stall walls (one hand on either side of me) to crane my body off the commode after some particularly challenging days. #3. All breakfasts should be silent. Signs are posted to prepare you: At Kripalu, breakfast is eaten in silence. Although I live alone, and all my breakfasts are therefore silent, I felt awkward and nervous about this requirement. Let me assure you: IT IS HEAVEN. Truly, if the Last Supper had been Silent Breakfast instead, I'm fairly certain Judas would have canceled his plans for mutiny, and everyone in Jerusalem would have just chillaxed themselves into blissful pacifism. Seriously, try it with your family. #4. Chai Night is a BIG DEAL! #5. The wildlife is shipped in straight from Snow White's Kingdom. OK, that's not true, but the area wildlife here in the Berkshires seems to have freakishly picked up on the "we respect all life forms" vibe of Kripalu. If you take your food outside to the picnic tables on the front lawn, expect to see happy bunnies calmly grazing on the grass at your feet. I repeat: AT YOUR FEET, without a care in the world. It's both charming and alarming and pretty intense bait for whipping out your forbidden cell phone. #6. Oh, yes… cell phone usage is highly frowned upon. Just know that whipping out your cell phone at Kripalu is akin to lighting up a cigarette in a yoga studio. If you choose to cave to your digital addiction, it can be an interesting social experiment, giving your fellow yoginis a chance to practice their non-judgmental Zen philosophy. But it's like level seven compassion difficulty and should not be attempted. It's better to just put away the phone and enjoy the present moment. Yup, sugar, caffeine and phones will be your hardest sacrifices. #7. You will enter Kripalu and return back to your life as the same person. 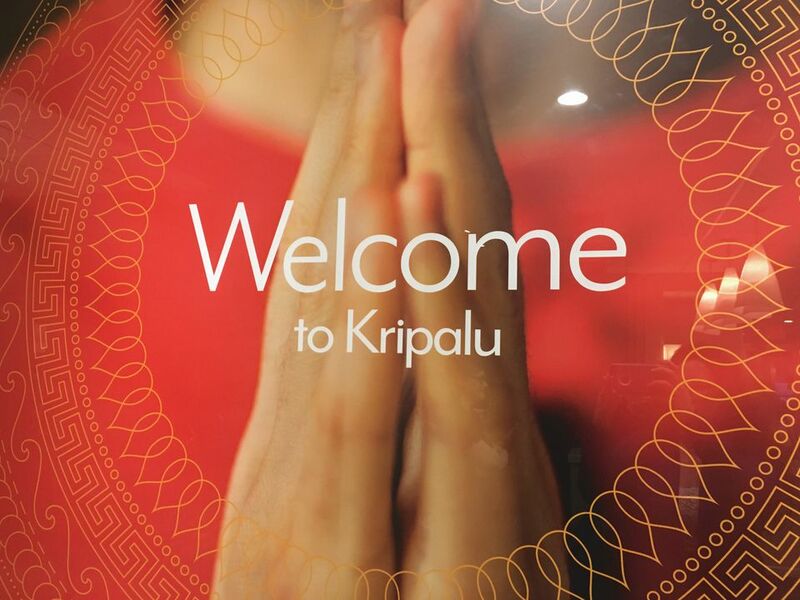 Sorry, Kripalu is not a magical land of instant, permanent transformation. But a stay might do just enough to save your soul between the coming and going. Your "sameness" just has a few options to try out back home, and that's important and good enough. It is a substantial financial investment, but if you can find your way to the experience, it will feed your soul, change your perspective and rearrange some of your priorities. How long those changes remain is up to you. It's worth the commitment, and, as with most things, you will get out of it what you put into it. Except the chai. The chai is just a big karmic bonus. Location: Kripalu is located at 57 Interlaken Road in Stockbridge, Massachusetts, just 2 hours and 15 minutes from Boston or about 2 hours and 45 minutes from Manhattan. Reviews: Read more Kripalu reviews on TripAdvisor. For More Information: Visit the Kripalu website or call toll free, 866-200-5203. Kalia Kellogg is freelance writer, a college admissions consultant, a dance teacher and a professional vocalist. She has taught and performed throughout New England and believes in diversifying one's gifts and talents to keep life interesting and rewarding.